Not a cop here, but just checking up on that R34 Nissan Skyline GT-R that you totally have here in America legally. I know you’ve got it because every time there’s a car show, I see it without asking questions or whatever, and I just want to know how it’s doing. Because if it needs parts or something, you can now buy them from Nissan’s Nismo Heritage arm. 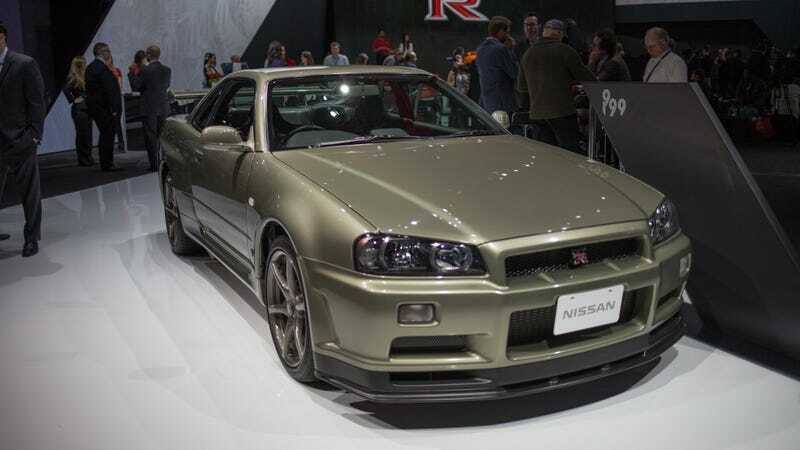 The parts will support R33 and R34 Skylines and be sold in Japan. But I don’t imagine that you, an entrepreneurial Skyline owner, will have much difficulty procuring them if necessary. The program was launched last year with the R32 Skyline and included 80 parts. The response was so good that Nissan will now include two additional Skyline models and add more parts for the R32, bringing the total number of available parts up to 160. Under the expansion announced today, exterior, powertrain, electrical and various mechanical components are being made available for the R33 and R34 models. Parts are also being added for the R32 model – including not just essentials related to driving performance or vehicle inspections, but also hard-to-find components such as new weather stripping or power window switches. Now, for example, you can get a bumper reinforcement. And a front bumper because you absolutely ruined yours while trying to make it look like Brian O’Conner’s. A full list of parts will be made available after this weekend’s Nismo Festival at Fuji Speedway in Japan. Does it matter that your R34 (and most R33s) isn’t old enough to get past America’s 25-year import car ban yet? Look, like I said—I’m not a cop. You do you. But congrats on being able to get new parts.